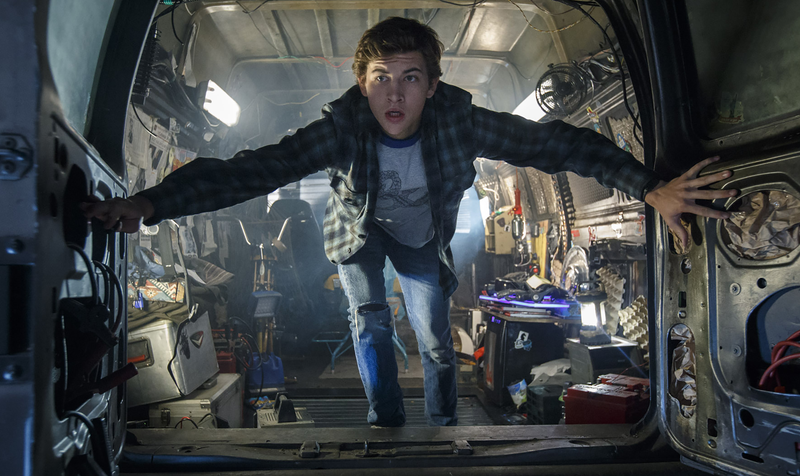 Steven Spielberg’s adaptation of Ready Player One, like the source material, is chock full of references to 80s music, movies, and video games. It also throws in a few Master Chiefs, Overwatch characters, and the Iron Giant for good measure. Usually these references are surface level and fleeting, but a few carry more weight—like the appearance of Adventure for the Atari 2600. Ready Player One is about a virtual world called the Oasis and a band of youths hunting for a secret hidden there by its creator, James Halliday. Whoever finds this easter egg will not only win fame and fortune in the Oasis, but complete ownership and control over the online game itself. It’s a somewhat ridiculous premise that feels like a mashup of Willy Wonka and The Matrix. As the movie unfolds, it starts to make more sense and feel even natural. Adventure, a rudimentary dungeon crawler released in 1979, helps explain why. While revolutionary on many fronts, Adventure also contains one of gaming’s earliest easter eggs thanks to its creator, Warren Robinett. In order to reach Halliday’s easter egg, Ready Player One’s protagonists must complete a series of challenges. In Spielberg’s adaptation, the third and final of these involves playing an Atari 2600 with every game in the console’s library loaded on it. Plenty of easter egg hunters try and fail to divine the hidden meaning behind this puzzle not realizing that (1) the only game they need to play is Adventure, and (2) they aren’t supposed to beat it, they’re supposed to unlock its deepest secret: a hidden room that displays the name of the game’s designer. Robinett’s decision to embed his name in the game somewhere only the most obsessed players would find it is now widely considered a historic moment in gaming, but at the time he just wanted to stick it to his employer, Atari. The company didn’t let designers attach their names to games, nor did it pay out royalties for each cartridge sold (sales of Adventure exceeded one million). Like many comic book illustrators in the 50s and 60s, designers’ work was treated like factory output rather than artistic expression. The signature he left in the game could only be found if players went to a specific room, secured a seemingly useless item rendered as a small dot, and brought it back to another unrelated location. At this point a wall would be removed and the player could enter a hidden room where Robinett’s name flashed vertically across the center of the screen. A 15-year-old from Salt Lake City first discovered the secret in sometime later, after Robinett had already left Atari. It became such a sensation, according to his retelling, that management at the company demanded similar secrets be placed in other games. Decades later it’s almost impossible for a new game to come out that doesn’t have some sort of hidden secret or subtext. Throughout Ready Player One, there’s always the threat of the big, impersonal mega corporation taking over the Oasis and turning it into a machine purely for printing money. Halliday’s vision for the Oasis is open to its own critiques, but at least it’s the vision of somebody, rather than a faceless corporation. In some respects, Ready Player One is about how an artist’s relation to their work lives on in the work itself. Halliday’s Oasis is the thing he wants to share with players around the world, but it’s not enough. He creates this elaborate maze for players to solve that’s supposed to help them better understand his life story, including both the things that inspired him and the ways he failed to live up to those inspirations. Halliday isn’t anonymous like Robinett—far from it—but who he really is as a person does, to some degree, remain anonymous. So he attempts to bury one of the keys to understanding who he was inside Adventure, in a nod to Robinett’s pioneering quest to do the same.